Data from multispectral remote sensing drones provide essential feedback on the health of a golf course. Multispectral sensor data can detect problems from pests, disease, invasive weeds and stress to greens, fairways, rough, shrubs and trees long before the naked eye will notice. This article explains why multispectral drones often called Remote Sensing Platforms are fast becoming a very essential tool every golf course should invest in. 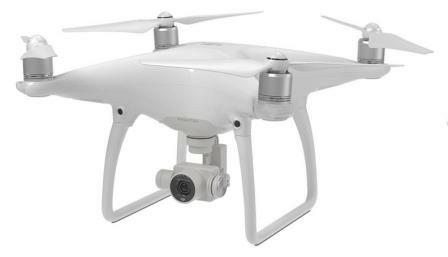 Golf Course owners can use drones for many purposes. There are tremendous benefits to using drones to create professional Golf Course aerial videos for marketing. Another type of aerial video is the interactive hole by hole drone video. This can also be used to promote the golf course and assist existing members to study and read the golf course better. Another major benefit is to use drones for the maintenance, upkeep and health of a golf course through the use of multispectral data. The drone now becomes a Remote Sensing Platform using sensors and specialized software to create data and maps on the health and vitality of the golf course plant life. This article concentrates on the benefits of multispectral data to the health and maintenance of a golf course. All golf courses have a wide variety of grass, flowers, fauna, shrubs and trees. The health of these plants and vegetation is very important to the beauty of the course. Multispectral data and imagery provide Owners, Maintenance Teams and Green Keepers with essential data on the health and vitality of greens, fairways, shrubs, trees and natural habitat of the golf course. 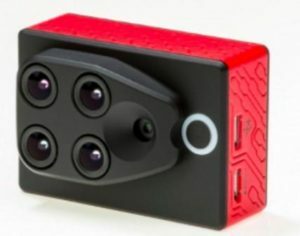 Multispectral sensor technology use Green, Red, Red-Edge and Near Infrared (NIR) wavebands to capture both visible and invisible imagery of the golf course. This invisible to the eye multispectral data provides early detection of stress to greens, fairways, shrubs and trees allowing Maintenance teams to take the correct and necessary action. Early morning golf course flyovers will allow maintenance teams to survey and evaluate all aspects of the golf course and get the full picture quickly. This allows teams to respond quickly if there are any aspects of the course which require urgent attention. ToF camera sensors can be used as a high precision reactive altimeters giving extra flight stability to the drone while capturing Multispectral images. Better quality data is the result. ToF 3D depth technology is excellent for measuring volumes. These camera sensors can be used to measure stockpiles of manure, mulch, logs and much more. 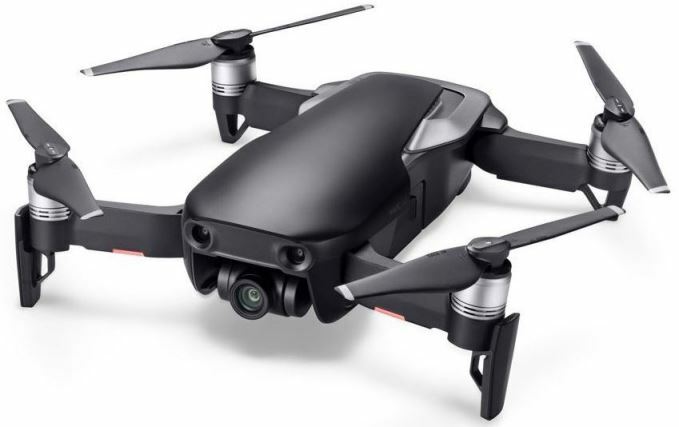 You needs one of the latest drones on the market which uses waypoint navigation, a multispectral camera sensor and specialized software to analyse and process the imagery. Most of the companies which supply multispectral sensors will provide the full package including drone, sensor and the specialized software. It is not necessary that a Golf Course needs to own a Multispectral drone. There are many UAV companies which provide multispectral remote sensing services in the Precision Agriculture sector. There services can also be hired for Golf Course Multispectral data. Many of the Multispectral Sensor manufacturers can also connect you with companies where you can rent multispectral services. One of the best software applications being used in precision agriculture and is also ideal for golf courses is Pix4Dmapper Ag. This software converts multispectral images into accurate reflectance and index maps, like NDVI, and uses RGB images to generate high resolution orthomosaics. Precision Hawk also have a professional mapping and analysis software package called PrecisionMapper which is also perfect for multispectral and photogrammetry analysis of data. Another company which is very big in the precision agriculture sector is DroneDeploy. The same multispectral technology is used for both Precision Agriculture and Golf Course Plant health. Many photogrammetry software packages can convert multispectral images into index maps such as NDVI. You can read further on the top photogrammetry software here. The article also has terrific videos. 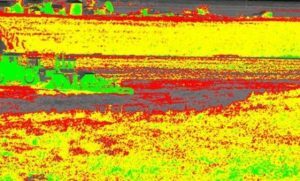 To get a better understanding of multispectral imagery and sensor technology, read this informative article regarding Multispectral Drones in Farming. Next, I have 3 videos to assist with your understanding of multispectral remote sensing. The 1st video covers NDVI which is a key component in analyzing multispectral data. The 2nd and 3rd videos give you a more thorough explanation of what multispectral remote sensing is and how it is used. At times, drones with lidar sensors are often used in conjunction with multispectral sensors to give a more complete analysis of vegetation, plants, trees etc. One of the most important features of multispectral sensors is to provide data on the health of a plant. NDVI (Normalized Difference Vegetation Index) is a commonly used remote sensing technique to help identify plants and to provide a measure of it’s health and vitality. This first video explains very well exactly what NDVI which is a key component in analyzing multispectral data. This video explores the basic principles used by optical sensors to record and capture data which we can’t see with our eyes – like the health of plants on the ground. It explains the basic principles of the electromagnetic spectrum, bands and spectral resolution in data and the uses of spectral data to answer science questions. This last video give you a nice introduction to remote sensing fundamentals including electromagnetic energy, color theory, spectral pattern analysis, and analog vs. digital imagery.